The worldwide music instrument market is a part of a wider consumer goods sector and encompasses the retail sale of mainstream instruments such as pianos, violins, guitars and other related products like parts, accessories and sound equipment, including microphones and amplifiers. 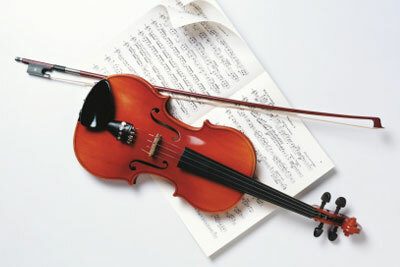 The industry also involves the sale of sheet music, leasing of equipment and instrument repairs. Retail outlets include musical instrument stores, specialty stores, and pro audio stores, with musical instrument stores carrying both instruments and accessories. Specialty stores, like keyboard and piano stores, are involved in the retail sale of electronic pianos, grand pianos, traditional upright pianos, and self-playing pianos. School music stores represent another retail outlet in the music instrument industry, selling band instruments to high schools, universities, and amateur players. At other retail outlets, like pro audio stores, consumers can purchase a wide range of sound system equipment. Who buys musical instruments? Key consumers include professional musicians, amateur players, and university and high school students requiring musical instruments for music classes or extra-curricular activities. The worldwide music instrument industry is fuelled by rising levels of consumer income and increased interest in leisure activities, and it is shaped by changing musical tastes influencing musical instrument choices. Musical instrument sellers deal directly with consumers regarding retail sale but are also involved in administrative tasks such as inventory control, advertising, product merchandising and providing after-sales services. Merchandising is a key factor in dictating how lucrative any company’s business activity will be; for example, smaller outfits competing against larger industry players can gain market share by offering high-end instruments or a personalized service. Digital piano demand continues to encroach into the acoustic piano market share. Obstacles to market growth include a consumer trend toward other non-musical leisure activities, price sensitivity, pseudo label operators and piano sensitivity to the environment. Over the past few years, Eastern countries have been joining the ranks of market leaders in the global musical instrument industry, outpacing the US, which previously dominated the market. China’s musical instrument industry is producing ever-increasing piano volumes, coming to the fore while other regions witness declining production levels. Public sector refurbishment has sparked changes in capacity expansions in recent years. Leading international companies continue to move part of their operations to Asia-Pacific to reap the benefits of lower production and labor costs. Japanese piano manufacturers have been concentrating more on upper-end markets, relying on superior technological advancements in the production process. The US musical instrument industry will witness growing consolidation and expansion activity over the coming years, with companies focusing on organic growth or relying on acquisitions to promote economies of scale, reports IBIS World. Obstacles to domestic growth include big-box retailers and mass merchandisers, with cheap imports encroaching on the domestic market share. Independent and small operators will likely bear the brunt of this trend. Other obstacles to growth include consumer trends towards other non-musical leisure activities such as sports, video gaming, and online entertainment. There are around 500 outfits operating in the US musical industry manufacturing industry. Leading names include Gibson Guitar, Steinway and Fender. The musical instrument industry is characterized by concentration, with the top 50 outfits accounting for over 80% of overall revenue. The majority of pianos produced in the world come from the EU and Asia, with the EU representing a high-end piano producer. Though China is the world’s leading piano producer in terms of output, more than 90% of pianos manufactured there fall into the low-end category. Yamaha Corporation is involved in various business activities such as musical instruments, sound, music, metallic molds, and components, lifestyle-related products, AV equipment, and semiconductors. The company manufactures and sells audio and video products, electronic devices, computer and network related products, and musical instruments, and is involved in operating music related facilities such as music schools. Yamaha has almost 100 subsidiaries in the US, the EU, Asia, Oceania, and Japan. The sale of electronic instruments is expected to climb over the coming years due to increased technological innovation. New products will emerge from evolving designs, social networks, and new interfaces.